Some of our favorite new arrivals - available to test drive on the showroom floor! Abode Marin is the go to resource for design trade professionals in the North Bay, Wine Country and greater Bay Area. Our showroom offers a curated collection of some of the best manufacturers from the USA and overseas, offering bespoke and customizable options for upholstery, casegoods, lighting, rugs, art and accessories. 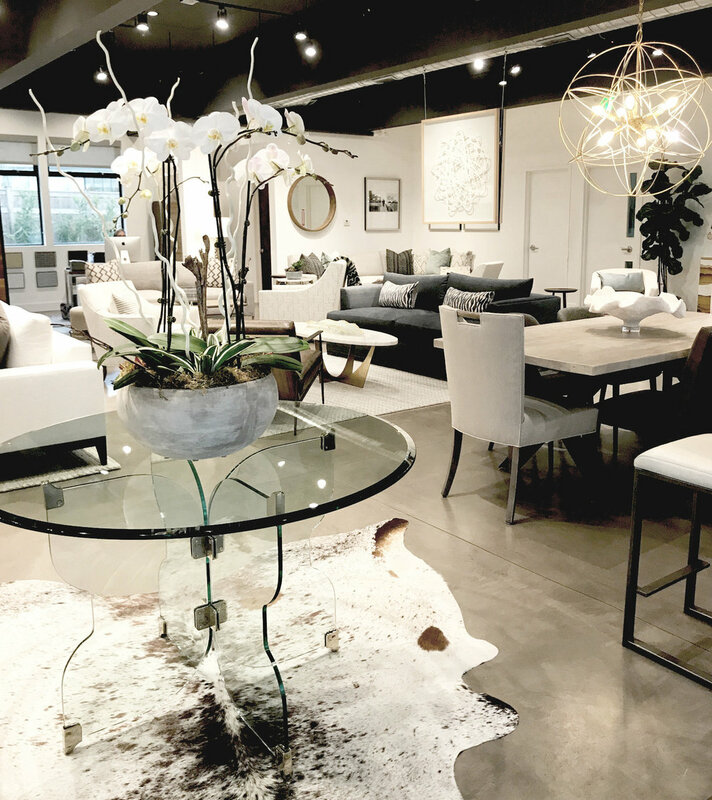 Our Larkspur showroom showcases transitional to contemporary styled pieces that have a fresh, modern appeal. As designers ourselves, we know how important it is for clients to sit, touch and see the materials in person and we invite you to bring your clients to visit. The Abode Design Studio is a full-service interior design firm that specializes in full-scale decorating and furnishings projects. A typical project may involve creating a whole new canvas, including flooring, paint/wallpaper, lighting, window treatments, new furnishings, art, rugs and decor that totally transforms a space. Being creative, developing beautiful (and functional!) spaces and seeing the joy that comes from these transformations, are our favorite things! Come by the showroom and meet our lead designer, Julia Robberts, for a chat about your project.